Regardless of what you celebrate, this season can be stressful. 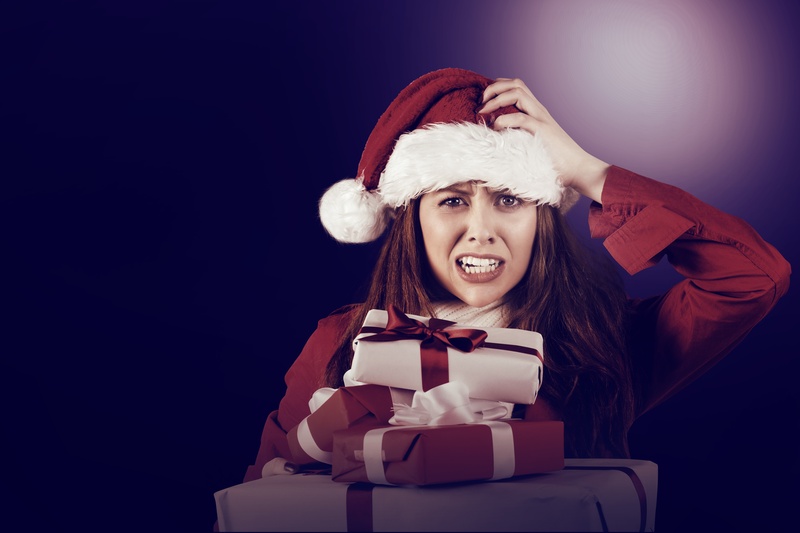 Thinking about buying the perfect gifts, putting up magazine-worthy decorations, creating magical evenings with family, and hosting fun-filled parties is enough to make anyone feel some anxiety. Yet if you look at the deeper meaning of the holidays, most people will agree that it’s about love, family togetherness, and meaningful connections. How we relate to each other is what makes the biggest difference. I want to talk about how to genuinely achieve what you’re looking for this holiday season, instead of merely the appearance of it. The simpler you can make the holidays, the more enjoyable they will be. If you aren’t focusing on the endless to do list you’ve created, you will have more time for genuine connections with your family—those that build great memories. The most important thing is to make sure that the time you spend as a family is comfortable and happy. (So try to minimize exposure to that uncle who always gets drunk at dinner and rants about politics.) But in all seriousness, a holiday with fewer conflicts and less stress is better for everyone. People often make gifts the center of the holiday, but making it about “things” only creates superficial happiness. Studies show that gifts only create a spike in happiness, and the level of happiness quickly goes back to where it was before the gift was given. Conversely, research has shown that experiencing fun and meaningful events together creates more lasting happiness. Positive memories come from doing special things for and with each other, rather than from buying things for each other. When you focus more on the person than on the gift, it is far more powerful and sustainable than any material item. I want to suggest something that may be radical: This season, take some time to step back with your family and think about how you want to feel about each other during the holidays and afterward. Then talk about the traditions and activities that have fostered those feelings in the past. Also, discuss what you might be able to cut out this season to make it simpler and more enjoyable for all. When holiday rituals begin to take on a life of their own, people stop enjoying them. Get rid of any tradition that causes more stress than joy. It’s okay for traditions to change and evolve as the years go by. Don’t be afraid to change traditions if they cause too much stress or don’t make people feel closer. Instead focus on small traditions and activities that mean a lot to people right now. It doesn’t matter what mattered ten years ago, what mattered in your childhood, or what you think you should do. If you have children, allow them to choose a tradition that they enjoy; it will have much more meaning than your choosing for them. This is helpful whether you celebrate Christmas, Hanukah, Kwanza or any other holiday. If you make sure the focus is on deepening your connections with family, every other part of your holiday will benefit because the true magic is the love. Sometimes we have a tendency to believe that doing and giving more around the holidays will increase happiness. This is especially true with parents; it’s natural to want to give our children everything we can. But the truth is that all they need is one or two things done well. Simple yet meaningful activities like driving around looking at Christmas lights, making and enjoying a favorite food, lighting a candle, or talking about the highlights of the year can be some of the most lasting memories of the season. This holiday season, try priming yourself to be in the kind of mood where your presence is a gift. You can help yourself have a great attitude for the holidays by thinking about what you have loved most about past holidays, and replaying those great memories and the feelings associated with them whenever you need a boost. Think about why the holidays are important to you. This type of priming helps improve your mood and your outlook. Priming can also help you navigate the stress and the emotions of the season brought on by other people. For example, when you hit the stores you may experience frenetic crowds and chaotic shopping, and when you get back home those feelings can spill over into what you’re doing with your family. Priming yourself before you get into situations that you know will be hectic can help as well. Thinking about what you love about the season, and trying to carry that joy with you, even when you’re out on traffic-filled roads, will keep you in better spirits. And don’t forget to give yourself enough time (again by simplifying!) so you don’t become one of those people who stresses other people out. Another great way to prime is to think about somebody who is wonderful to be around during the holidays. What is it that makes you admire that person and what can you emulate? I’m not talking about somebody who looks perfect on the outside; choose someone who brings an authentic and caring presence whenever you see them. It’s so easy to get caught up in appearances, and it’s easy to accidentally get negatively primed by what other people appear to be doing and judge yourself poorly by comparison. Redesigning your holidays to create joy, peace, and love in your family can be simple. Determine what you can do to enhance the feeling of connection as much as possible, so that everyone can go into the following year with a momentum of love and support. Have a wonderful holiday season! I would love to hear about some of your favorite ideas to make the holidays more joyful and less stressful. Just comment below or connect with me on social media to share.